Tell me which emoji r u. 21 Oct 11 copy & paste +upvote -downvote How r u feeling?  Tell me which emoji r u.
Sooo busy Didnt realize itsa friday! woot woot? Haha. 21 Oct 11 copy & paste +upvote -downvote Sooo busy Didnt realize itsa friday!  woot woot? Haha. @VeroBoquete ya tengo algo q ver el domingo.Guay!!!! Recruits come for their visit today! Fun weekend ahead for #bsusoftball ! I love the Emoji. But they should have one with the middle finger just saying. Wale Is One Of My Favorite Rappers..
@wonderstruckx13 haha, wasn't sure if u had emoji or not, but I saw u have twitter for iPhone, so I took a chance. 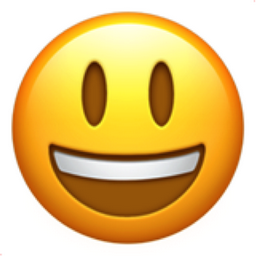 Like Smiling Face with Open Mouth Chronological Emojitweets 28?